"Free Movement of Persons in the EU: A Loved and Feared Reality" - Register Now! There is no ‘best alternative’ to EU membership for EU citizens in the UK and UK citizens in the EU after Brexit under which all their current rights will be fully preserved. 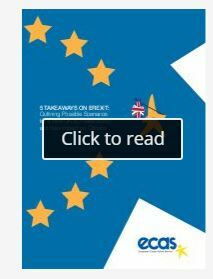 Thsi is the bottom line of a study produced by ECAS on the future relationship between the EU and UK and its implications for citizens' rights. The study analyses existing models of relationship between the EU and non-EU countries, including Norway, Switzerland, Canada and Turkey. 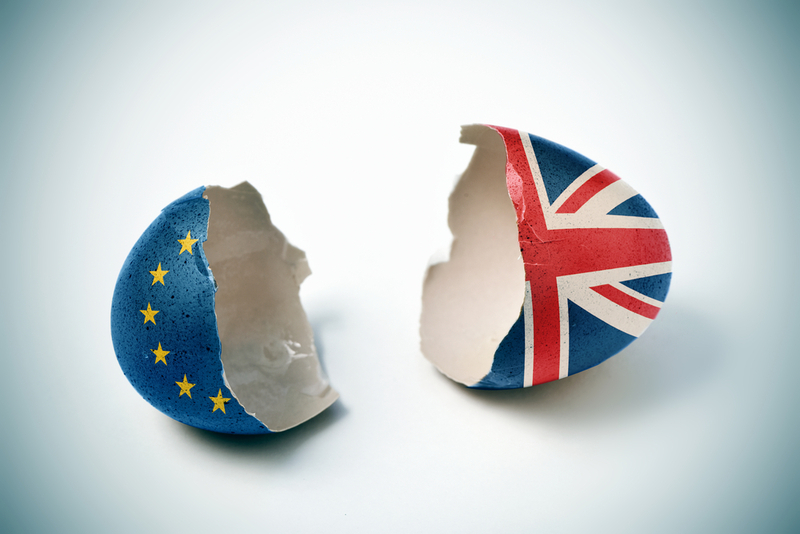 The UK’s current EU membership is also considered, although it is not envisaged as a realistic option but presented as a reference scenario for comparison purposes. Our research shows that in all the models analysed, the various EU rights guaranteed to EU citizens will only be secured to a certain extent or, in some cases, removed altogether. On the occasion of the 60th anniversary of the Treaty of Rome, when the concept of the free movement of persons was first established, ECAS is organising a high-level conference on 12 April (9am-2.30pm) at the Brussels Press Club. The event will feature keynote and concluding addresses by MEPs Jill Evans (Greens/EFA) and Jean Lambert (Greens/EFA), and will host two panels of representatives from the EU institutions and civil society, as well as legal experts. 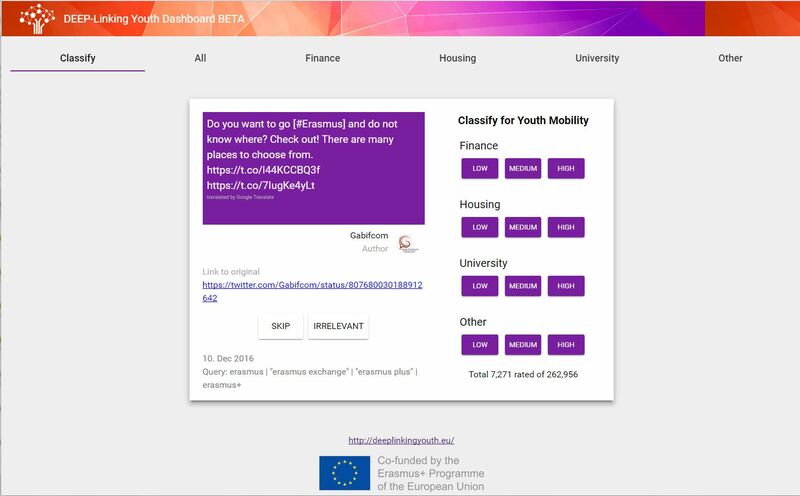 As part of the DEEP-linking youth project (funded by Erasmus+), a consortium of seven European partners are launching a Digital Dashboard: an e-platform built to listen to and understand the opinions young people are voicing online. The platform is being tested on a specific issue: youth mobility programmes in Europe, mainly the Erasmus programme. Join us on 22 March from 9am to 1pm at the Brussels Press Club to find out what the Digital Dashboard is capturing in the digital space and discover how we can use these opinions to feed into the EU policy-making process. You will have the chance to see how the platform was built, test it out and give your feedback on it. On 23 January, legal experts from the Your Europe Advice service, which ECAS manages on behalf of the European Commission, took part in a Facebook chat, answering EU citizens’ questions about doing business in the EU. 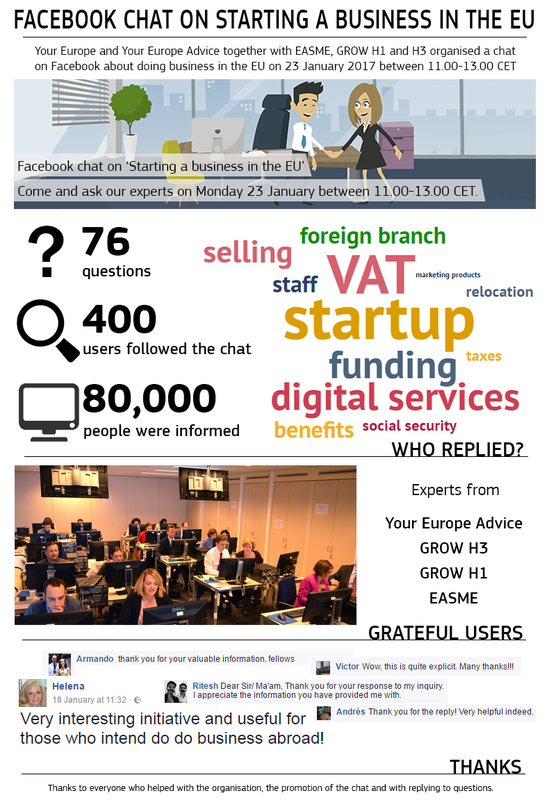 Together with experts from the European Commission’s Executive Agency for SMEs (EASME) and DG GROW, they responded to 76 questions during a 2-hour chat, followed live by over 400 users. About 80,000 people were indirectly informed in total. 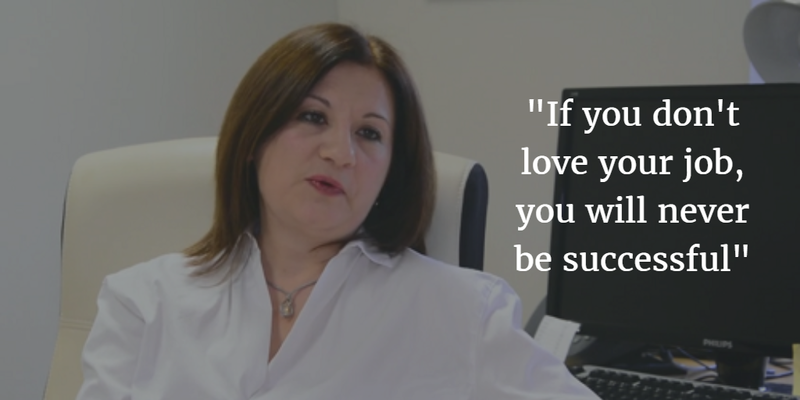 Our Director, Assya Kavrakova, was interviewed recently by key2advance on the work of ECAS and the skills and qualifications it takes to reach her position. The interview was part of a project with the University of Kent in Brussels through which over 100 professionals in Brussels from different sectors have been interviewed. Our Member Kennis Centrum Sociaal Europa is looking for a partner on behalf of Kind en Gezin, a government agency working in the area of 'public health, welfare and family', for an Erasmus+ KA2 proposal on ‘SCHOOL EDUCATION: Supporting efforts to increase access to affordable and high quality early childhood education and care (ECEC)’. Their project is entitled: ‘Increasing accessibility of integrated ECEC-services to support all families with young children’. They are looking to exchange ideas and good practices with different partners to learn how to improve the accessibility of integrated services for vulnerable families. 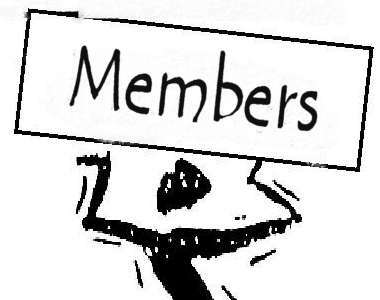 Are you an ECAS Member interested in sharing a project or an event with us? Send us a short description and we will include it in our upcoming Newsletter! 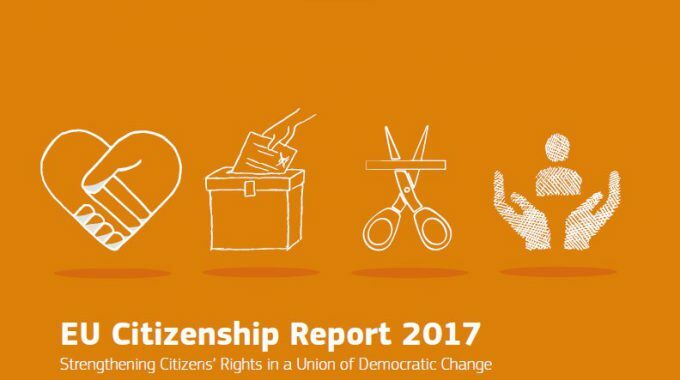 On 24 January, the European Commission published its 2017 EU Citizenship Report. The Commission's proposed actions essentially concentrate on raising public awareness of the rights associated with EU citizenship, but do not address the notable deterioration that some of these rights – in particular freedom of movement – have undergone in recent years. This situation calls for bolder measures to protect them beyond promotion and awareness-raising. 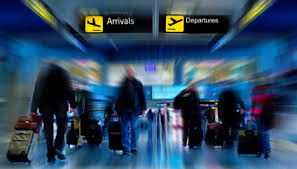 ECAS believes that special attention should also be paid to Directive 2004/38/EC as the most important legislative instrument governing free movement of people within the EU, which has been in force for more than ten years. It has been the subject of numerous judgments of the Court of Justice of the EU, while its implementation remains problematic. 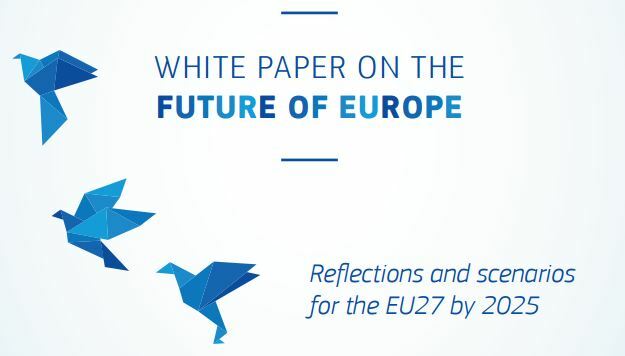 The Commission's 'White Paper on the Future of Europe' outlines five scenarios for a 'new chapter' of European union for the EU27, but fails to answer the key question – what do citizens want from Europe. Despite the European Commission President's call for “leadership, unity and common resolve” in taking the EU27 forward after Brexit and the White Paper's stated aim to “advance our project in the interests of our citizens”, his five scenarios for the future of the EU reflect the realism of working for a compromise between 27 Member States rather than a true vision of a Europe for its citizens. A sixth scenario, which puts the wishes and views of citizens at the centre of the discussion, is missing. In its last mini-plenary sitting in Brussels the European Parliament adopted its position on the Europe for Citizens Programme, by voting in favour of the report prepared by MEP Maria Teresa Barbat, with 470 votes in favour, 132 against and 37 abstentions. The adopted report, which follows a series of consultations with civil society organisations and programme beneficiaries in which ECAS actively participated, acknowledges the high impact and quality of the projects funded by this programme and calls for a substantial increase in its funding allocation to improve its current low success rate. 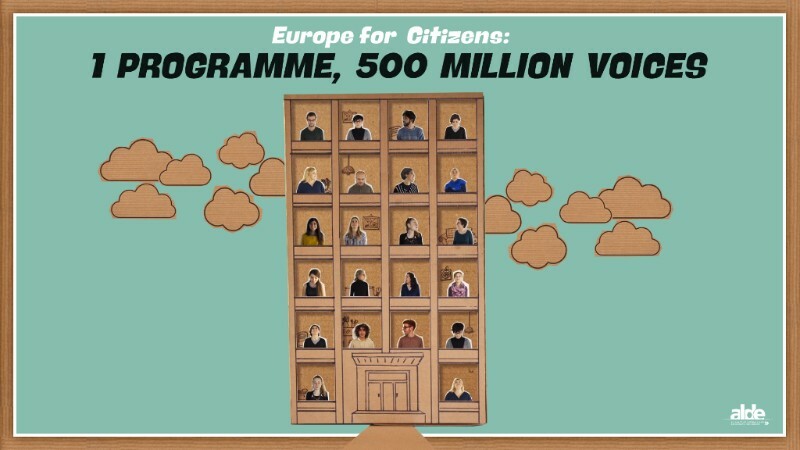 It further highlights the potential synergies between this Programme and other EU actions enabling citizens' participation in EU policy-making, calls for a consistent communication strategy regarding the Commission's EU citizenship programmes and underlines the importance of maintaining the operating grants provided to organisations implementing activities targeting the programme priorities. Parliament has voted to reject the Lords' amendments to the Brexit bill, paving the way for it to be passed into law. The bill will now receive Royal Assent after the Lords voted against further amendments to it last night. The Lords' amendments to the Brexit bill, on securing the rights of EU citizens in the UK and giving Parliament a meaningful vote on the outcome of the UK's negotiations with the EU, were rejected by MPs, with majorities of 48 and 45 respectively. The Lords later rejected the same amendments after Labour peers withdrew their opposition to the bill. The government is now free to trigger Article 50 on schedule, which it is set to do by the end of March. Negotiations will then begin in earnest, with the UK promising to put citizens' rights at the top of the agenda. During the first two months of the year the European Court of Justice issued three judgments and opinions regarding citizens’ rights. The most recent one concerns the EU’s competence to conclude, on its own, the Marrakesh Treaty on access to published works for visually impaired people. The second one is a decision by the Court to annul a Commission decision to reject the registration of an ECI on linguistic and cultural diversity in the EU. The third one considers the relationship between a member state and an overseas territory as regards the freedom to provide cross-border services in the EU. Have Your Say on EU Policies! Proposal for a Regulation concerning the respect for private life and the protection of personal data in electronic communications - send your feedback until 10 April 2017! Proposal for a Regulation on the protection of individuals with regard to the processing of personal data by the Union institutions, bodies, offices and agencies and on the free movement of such data - send your feedback until 13 April 2015! 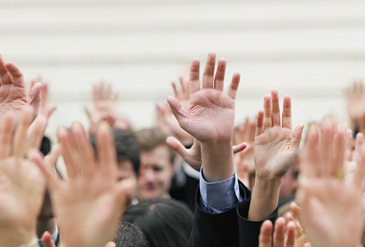 More feedback opportunities to express your views on all EU policies at "Your Voice in Europe"